Sassyzeal: Hundred Island and Bolinao Getaway! Hundred Island and Bolinao Getaway! 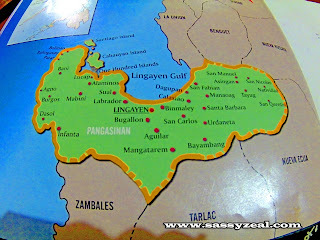 Pangasinan is a part of Ilocos Region which is located on the western area of Luzon. 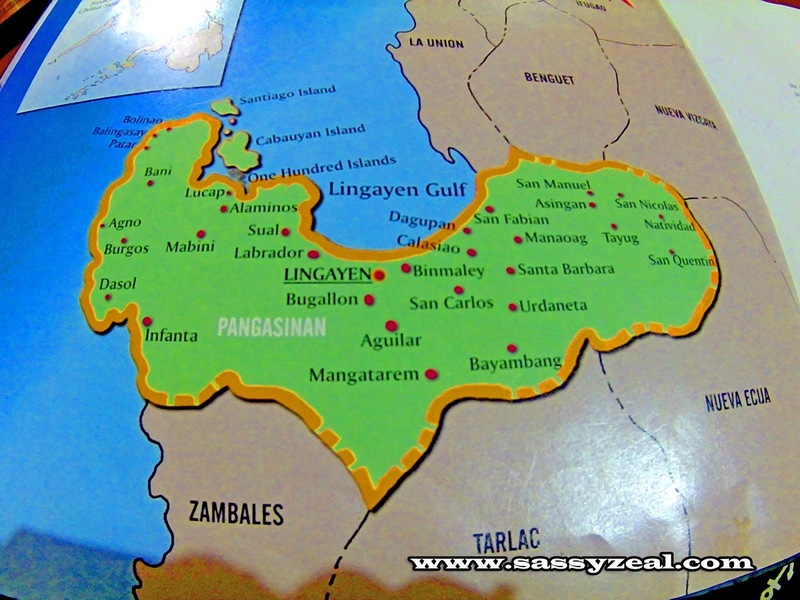 The name of this province means “Place of salt” or “Place of salt-making” as Pangasinan is a province which contributes majority of the salt in the Philippines as well as their well known product “bagoong”. Featuring the most popular attraction in Pangasinan, Hundred Island in Alaminos and the beautiful beaches of Bolinao and Donsol topped the list of the towns here. Take a bus from Manila (5 Star in Pasay Terminal or Victory Liner in Cubao terminal) to Alaminos Pangasinan. Round trip fare is 800. Travel time is 6 hours to 7 hours. But if you want to make your journey a hassle free one, Then get a package tour from MK Compass Travel and Tours and everything will be worry free! To better appreciate Pangasinan, I and my team explored the said two towns, Hundred Island in Alaminos and Patar Beach inBolinao including side trips. We were rejuvenate by the fresh air and mesmerized by the beauty of islands and islets in Hundred Island namely, MarcosIsland, PBB Island, Governor’s Island, Cuenco Island, Bat Island and lots of them to see. Welcoming us from a long trip is 125 steps up to the view deck of Governors Island which is worth a climb to enjoy a panoramic view and take the best photo to document. Followed by a walk to floating bridge in PBB Island. Well a really new fun and thrilling experience we had in Marcos Island which will make this island so remarkable! 10 feet dive to the cave! Extreme for a non adventurous buddy! We then passed by to Bat Island and proceeded to CuencaIsland. We also visited Bolinao Church, Light house in Bolinao and the ever popular Enchanted Cave. Of course, we didn’t miss to feel the summer heat at well-known Patar Beach in Bolinao. Having a travel agency assisting you to your travel plan is like leaning in a solid block while you are patiently waiting for the travel date stress free. Everything will be provided including the itinerary, time management, coordinating with the hotel, land, air and boat transfer (if applicable), suggested restaurant to dine and other must see places to visit in your preferred tourist destination. All you have to do is to contact reserve and wait for the travel date! We’ll as a travel enthusiast, making sure that every penny we pay is real worth! So the best thing to do is to settle for the best! Best travel Agency that will assist us from departure up to end of a happy travel story. Speaking of worth, MK Travel Agency will definitely give you the value of what you will pay for. I never imagine that the cost we are paying when I and my husband are spending weekend somewhere in Laguna or Tagaytay is the actual cost we need which will bring us to the North! Wow! Can’t imagine that amount will bring us this far! Super SULIT! Per our experience, the owner of MK Travel and tours and his staffs and drivers are really super nice, friendly and courteous. My best friend and her boyfriend have been availing their tour packages for several times and more to come (this time, with myself and my husband).The driver (Kuya Kiko) led us to must see places and recommended restaurants. Extending extra service for bringing us to Pangasinan’sbest delicacies for Pasalubong. Very hands on. MK Travel and Tours chooses the best places to see and focusing on the most important sites to visit to maximize the time. Departure time from the pick-up place is strictly followed. I actually not used to long road trips because of the assumed discomfortability during the 6-7 long hours of travel. Surprisingly, I didn’t feel that bad along the way because we use comfortable GL Grandia Toyota Hi Ace with customized seats which made me feel more relax and wanting to try another long road trip. If you are like us who wanted a worry free, comfortable and WORTH vacation leave and expenses, then go and reserve your slot to MK Travel and Tours. They have Travel Tours to Hundred Island and Bolinao in 1! This is during Fridays, Saturdays and Sundays of each month. But you would like to travel with your friends exclusively, you can choose any dates or days you preferred. Just a tip! You will SAVE MORE if you travel with your friends. The more the merrier, the more it costs lesser. Cool! Contact them through FACEBOOK/WEBSITE or Contact numbers below. DON'T FORGET TO MENTION THAT YOU’VE READ THEM IN SASSYZEAL SO YOU WILL GET THE SAME RATES WE HAD.